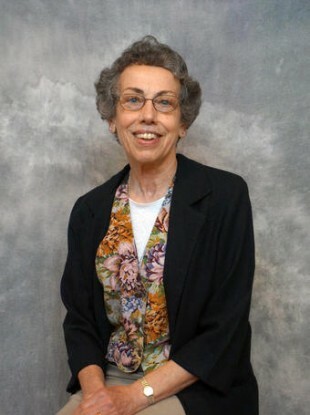 Sister Paula Merrill is one of the two nuns killed in rural Mississippi. A MAN SUSPECTED in the slayings of two Mississippi nuns who were found dead inside a residence within the community they served has been arrested and charged with two counts of capital murder. Rodney Earl Sanders, 46, of Kosciusko, Mississippi, was charged in the deaths of Sister Margaret Held and Sister Paula Merrill, both 68, Mississippi Department of Public Safety spokesman Warren Strain said in a statement released late Friday night. The bodies of both women were discovered Thursday after they failed to show up for work at a clinic in Lexington, Mississippi, about 16km from where they lived. “Sanders was developed as a person of interest early on in the investigation,” Lt. Colonel Jimmy Jordan said in the statement. Authorities said Sanders was being held in an undisclosed detention centre pending a court appearance. Meanwhile, in the poverty-stricken Mississippi county where the two nuns were slain, forgiveness for their killer is hard to find, even if forgiveness is what the victims would have wanted. Sisters Margaret Held and Paula Merrill were nurse practitioners who dedicated their lives to providing health care to people in the poorest county in the state. And as authorities sought the killer, many residents wondered how they will fill the hole the women’s deaths have left. “Right now, I don’t see no forgiveness on my heart,” said Joe Morgan Jr., a 58-year-old former factory worker who has diabetes and was a patient of Merrill’s at the clinic where the two nuns worked. He said Merrill would want him to forgive whoever killed the women, but he hopes the perpetrator is arrested, convicted and executed. “She doesn’t deserve to die like this, doing God’s work,” Morgan said, shaking his head. There’s something wrong with the world. Both women gave flu shots, dispensed insulin and provided other medical care for children and adults who couldn’t afford it at a local clinic. Their stolen car was found abandoned a mile from their home, and there were signs of a break-in, but police haven’t disclosed a motive. Authorities have not said how the women were killed, but the Rev. Greg Plata of St. Thomas Catholic Church in Lexington, where the nuns had led Bible study for years, said police told him they were stabbed. The state posted a reward of $20,000 for information leading to an arrest and conviction. Plata said both nuns’ religious communities have asked that people pray for the killer or killers. On Friday, a handwritten sign on the front door of Lexington Medical Clinic said it was closed until Monday. The clinic and the nuns’ home in Durant are in Holmes County, population 18,000. With 44 percent of its residents living in poverty, Holmes is the seventh-poorest county in America, according to the Census Bureau. The slayings did more than shock people and plunge the county into mourning. They leave a gaping hole in what was already a strapped health care system. Dr. Elias Abboud, who worked with the sisters for years and helped build the clinic, said it provided about 25% of all medical care in the county. The two nuns cultivated relationships with drug company representatives, who often left extra free samples, according to clinic manager Lisa Dew. “This is a poor area, and they dignified those who are poor with outreach and respect for them,” Plata said. Email “"She doesn't deserve to die like this, doing God's work" - Shock after murder of nuns”. Feedback on “"She doesn't deserve to die like this, doing God's work" - Shock after murder of nuns”.